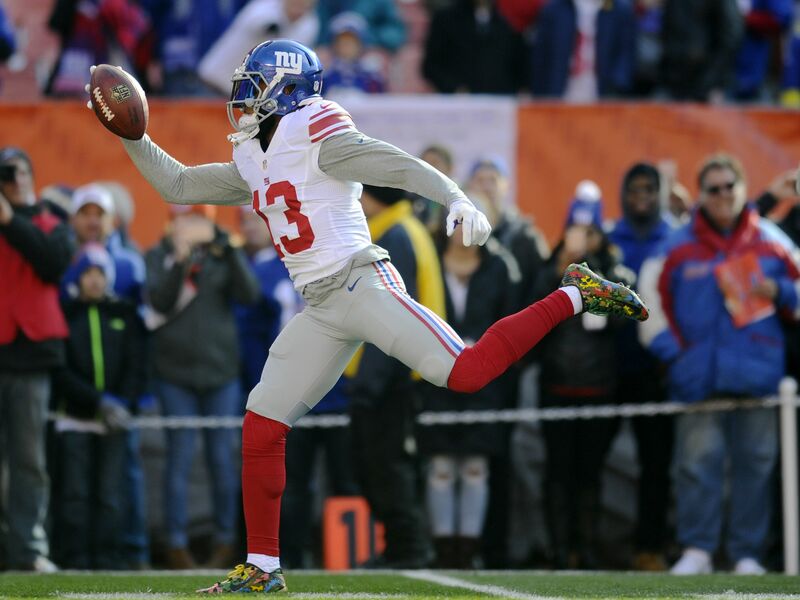 Odell Beckham Jr. isn’t asking for No. 1 wide receiver money, he is asking to be the highest-paid player in the entire NFL, all positions included. New York Giants star wideout Odell Beckham Jr. owns the NFL record of 2,744 receiving yards during his first two seasons, surpassing a mark Randy Moss set in 1999. The feat is impressive, and sounds even better when it’s realized that Beckham missed the first four games of the season. To say his career is off to one of the more impressive starts we’ve seen is an understatement, and now he’s making it known he wants to be compensated as one of the best. While speaking to Uninterrupted this week, Beckham’s next contract is a topic of conversation. Beckham is on the New York Giants’ books for this upcoming season and the 2018 season, but was not shy about looking ahead. This past offseason, Antonio Brown of the Pittsburgh Steelers set the high mark for wide receivers. Brown signed a contract with an average of $17 million per season until 2022 according to Overthecap.com. In other big contract news, Derek Carr of the Oakland Raiders is the highest-paid player in the entire NFL, signing a deal that nets him more than $25 million per season until 2023. It is highly unlikely that Beckham will adjust the wide receiver market by that large of a margin, but he set the artificial ceiling early. It will be noteworthy to see what concessions each side will make until that day finally comes and how the relationship between Beckham and the Giants operates during that span.